The Turkish government has indirectly criticized its NATO ally, the US, for providing a safe haven for Fethullah Gülen, whom Ankara blames for masterminding Friday’s military coup attempt. The cleric is currently living in self-imposed exile in the States. “I do not see any country that would stand behind this man, this leader of the terrorist gang, especially after last night. The country that would stand behind this man is no friend to Turkey. It would even be a hostile act against Turkey,” Prime Minister Binali Yıldırım told reporters on Saturday, as Turkey was recovering from overnight violence. Commenting on Turkey’s hostility towards the 75-year-old preacher, US Secretary of State John Kerry said Ankara hadn’t requested the cleric’s extradition. The US official said that Washington will be "completely supportive of efforts to assist the government of Turkey," but insisted that any decision on Gulen will be taken on the basis of legal, and not political considerations. "We fully anticipate that there will be questions raised about Mr Gulen, and obviously we invite the government of Turkey to present us with any legitimate evidence that withstands scrutiny and the United States will accept that and look at it and make judgments appropriately and I am confident there will be some discussion about that," Kerry told reporters during his trip to Luxembourg. Following Kerry's statement, Turkey's President Recep Tayyip Erdogan publicly demanded Gulen's extradition during a televised government meeting in Ankara. 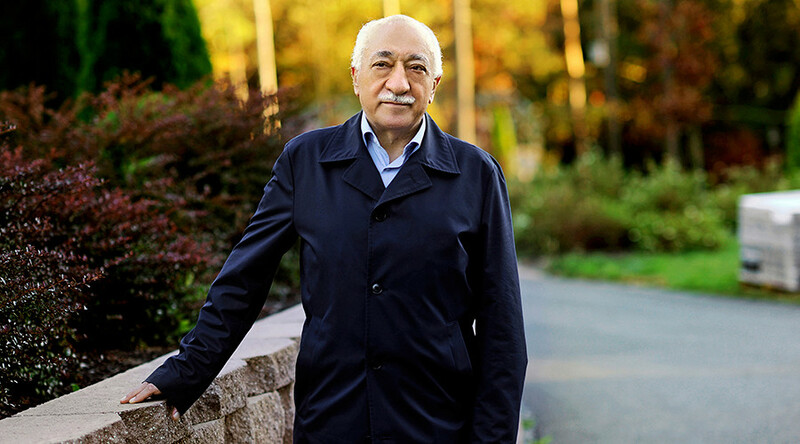 Speaking to media inside the extensive complex in Saylorsburg Pennsylvania, where he lives and preaches, Gulen rejected Turkey's accusations, and countenanced the possibility that the coup was a false flag operation. “There is a possibility that it could be a staged coup (by Mr Erdogan’s AKP) and it could be meant for further accusations (against the Gulenist and the military),” said Gulen. Gülen was a political ally of Erdogan when he was Turkey’s Prime Minister, but the two fell out and became bitter rivals. Ankara accuses Gülen of creating a “parallel state” in the form of a network of supporters among Turkish officials. 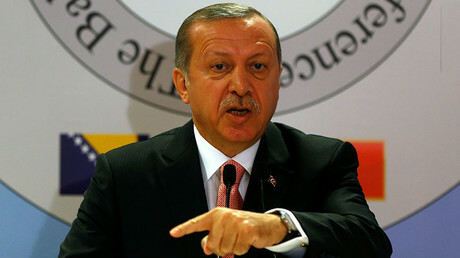 Erdogan accused Gülen of masterminding a corruption scandal involving senior government figures in 2013, and launched a crackdown against his organization. A faction of the Turkish military attempted to topple the government overnight, but failed in its bid. The attempted power grab involved tanks and helicopters, as government buildings were attacked and violent clashes erupted between government loyalists and rebels in Istanbul and Ankara. The hostilities left over 260 people killed and many others injured. The government has responded to the coup by initiating a massive purge in the military. Binoy Kampmark of the RMIT University told RT that while willful and erratic Erdogan has been increasingly unpopular in the White House, the coup put the US in a tight spot. "The US doesn't want an overly belligerent Turkish government, but, by the same token they don't want an unstable one. 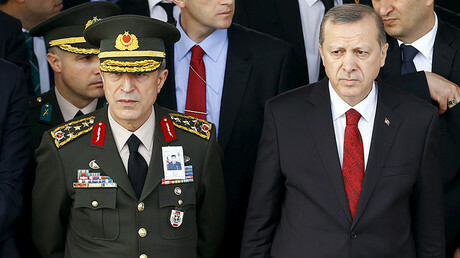 Turkey, with the largest standing army in NATO, is definitely a source of concern," he said via an online uplink. "If the coup had been successful, the US would have protested, but they can deal with the Turkish military, probably better than with Erdogan. They could deal with him before, but with his crackdown on democracy, and the Kurds, who are fighting ISIS, he has become an embarrassment, and after the coup it will get worse," defense analyst Ivan Eland told RT. Kerry has told Turkish Foreign Minister Mevlut Cavosoglu on Saturday that claims of US involvement in Turkey’s failed coup hurt relations between the two countries, State Department spokesman John Kirby said. Kerry also urged Turkey to follow the rule of law when investigating the attempted coup. “He made clear that the United States would be willing to provide assistance to Turkish authorities conducting this investigation, but that public insinuations or claims about any role by the United States in the failed coup attempt are utterly false and harmful to our bilateral relations,” Kirby said.